Every designer seeks various tools and important elements to put them right in his designs. I tried to make the way possible and easier by assembling the best useful web UI kit & web interface elements. This UI is exclusively designed by me & can aptly fit in your web interface design. 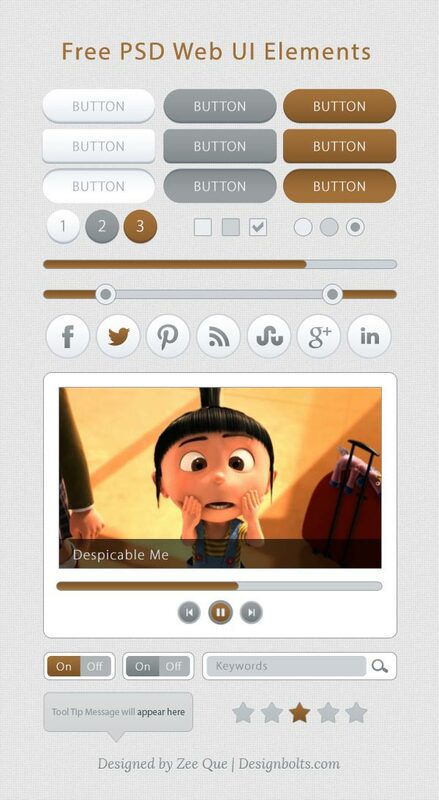 I have put together simple buttons, radio buttons, social media icons, small video player, tool tip, star rating buttons, on/off switch & search-bar. Subscribe us for more free PSD, more free Vectors and free icons.